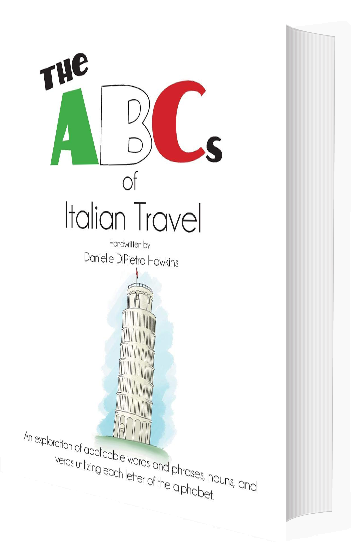 With a fun and easily accessible flair, ‘The ABC’s of Italian Travel’ will help the reader to acquire important words and phrases commonly used while travelling. The book also offers a fundamental understanding of the Italian language through an in-depth explanation of grammatical concepts utilized in beginning level Italian language learning. The grammar components are contained within the first section. The second section begins with the letter A, and finishes with Z, with each letter of the alphabet organized into three different categories: words and phrases, nouns, and verbs. If you’re looking for a language book that will prepare you for your trip to Italy, or if you wish to study Italian for personal interest, you will be satisfied with the content. Remain relaxed and enjoy learning this beautiful language! A Comprehensive Guide for Your Travel Purposes. 10 Lessons and a review: each including a quiz and answers, and many sameple dialogues! Download here for just $9.99! Get a Sneak Peek into My New Book! Learn Italian for Travel was created in order to assist you in your Italian travels. On this site you may purchase my grammar instruction book, with 10 lessons, all intended to help you with what you will need to know while travelling in Italy. On my YouTube channel, you will find various instructional videos. I am also available for Italian instructions via skype. Email me if you are interested. Preparing yourself for your trip to Italy by learning to speak Italian will make your travel experience so much more enjoyable! The more that you understand and can be understood in expressing your needs and desires, the more secure you will feel, which will allow you to relax into the beautiful culture. 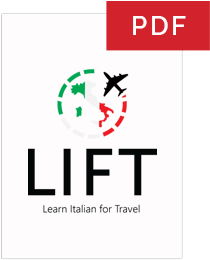 Study my book(s), watch the videos offered by LIFT and expose yourself to as much Italian language as you can, either in your community or online through YouTube, music, movies, etc. When you arrive in Italy, don't be afraid to communicate that which you've learned, for your efforts will be much appreciated by the local people. © 2017 Learn Italian for Travel. All Rights Reserved. Site Customizations by DK Web Design.